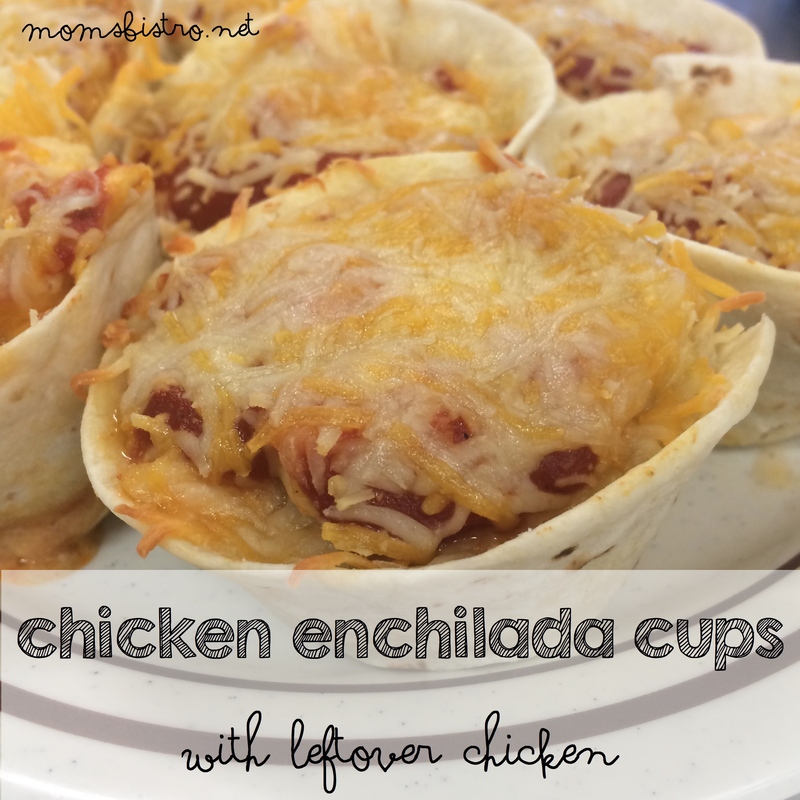 Here is another great kid-friendly recipe that’s perfect as the nights start to cool off. 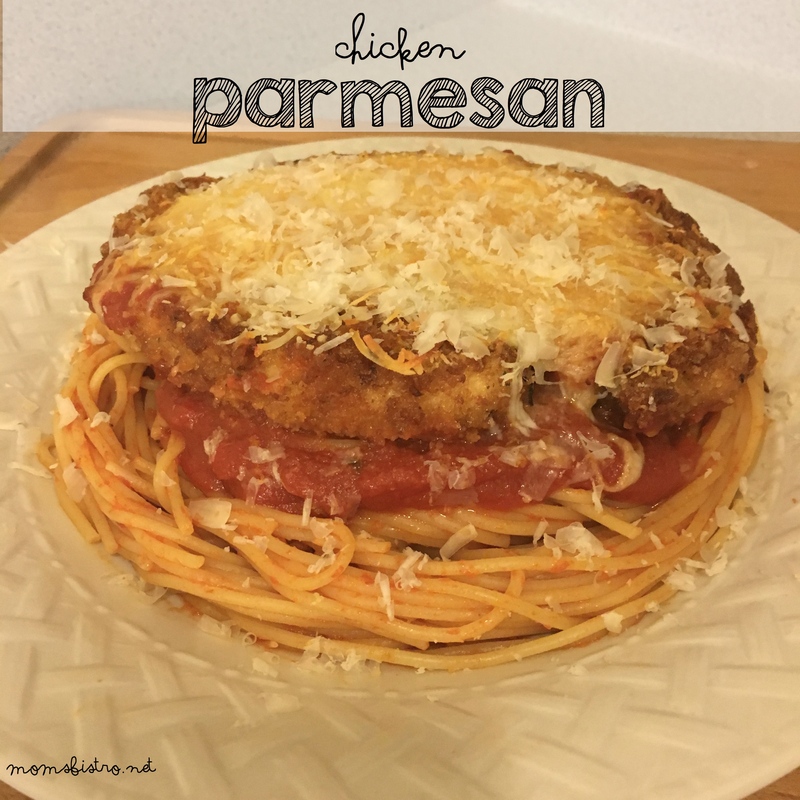 Chicken Parmesan is probably the dish that I cook most often for dinner guests. It’s even the very first thing that DJ made me for dinner when we started dating. He was the Chicken Parmesan expert, and then he passed on his tricks and tips to me, and I have officially become the Chicken Parmesan expert. DJ is still my official taste tester though – a very important job. 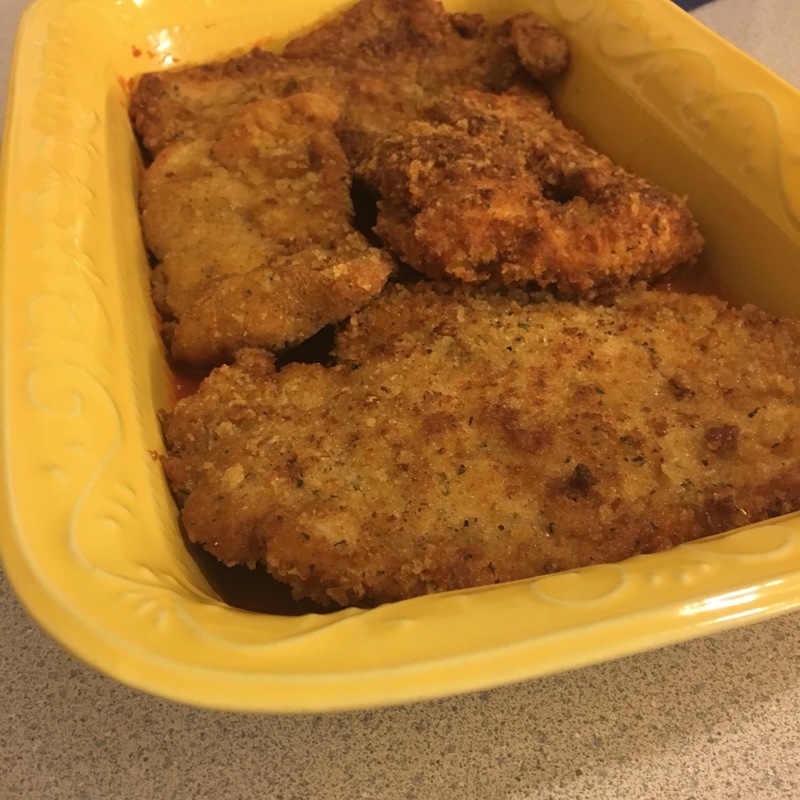 Chicken Parmesan really is easy to make once you get the Chicken Cutlets made. We like to make a ton of Chicken Cutlets all at once, and then we freeze them for a quick 30-Minute Chicken Parmesan dinner. 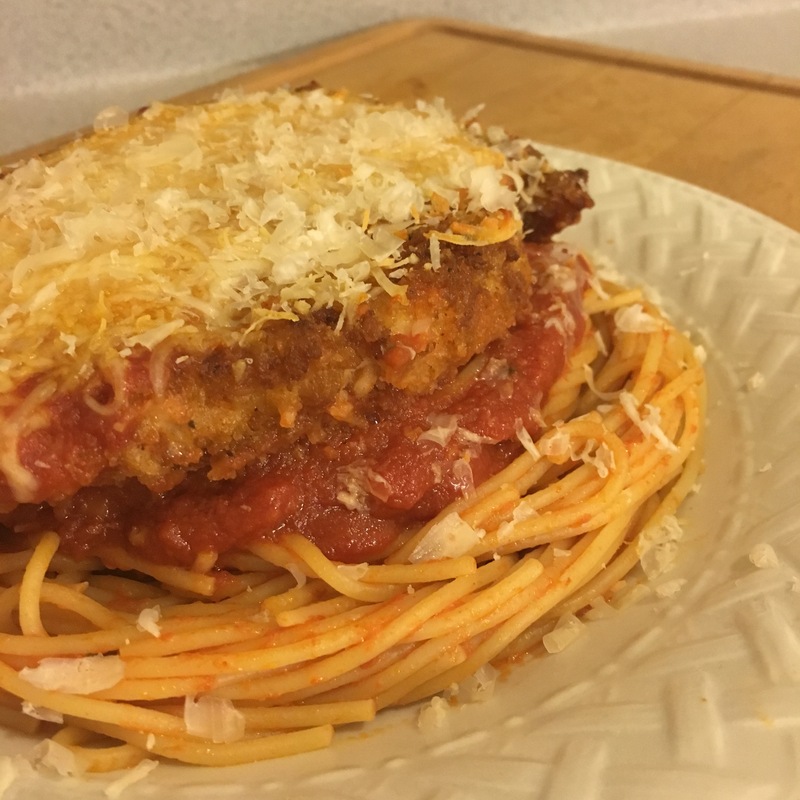 To make Chicken Parmesan, I usually use leftover CrockPot Spaghetti Sauce, unless it’s a special Sunday, and then I made the Spaghetti Sauce and the Chicken Parmesan on the same day. Anthony has been asking me for this meal for about 3 weeks now, ever since he saw that it was on my October Menu. Almost every night he asks me if we’re having Chicken Parm and Spaghetti! 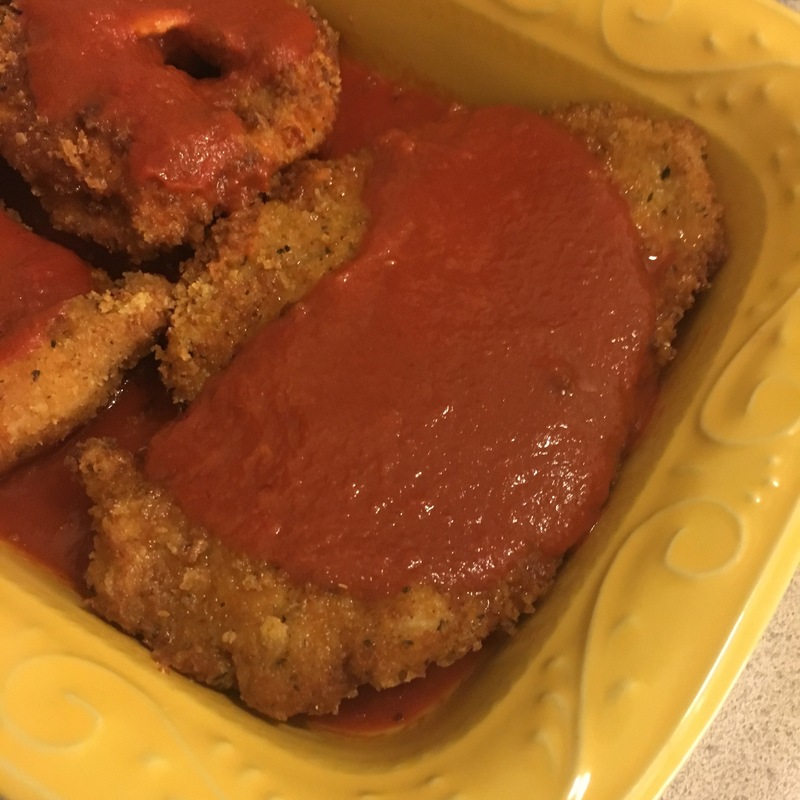 If you don’t have time to make Chicken Parmesan during the week, make it ahead of time, on the weekend when you have a few extra minutes, freeze it, and then just reheat during the week for a quick and easy dinner. 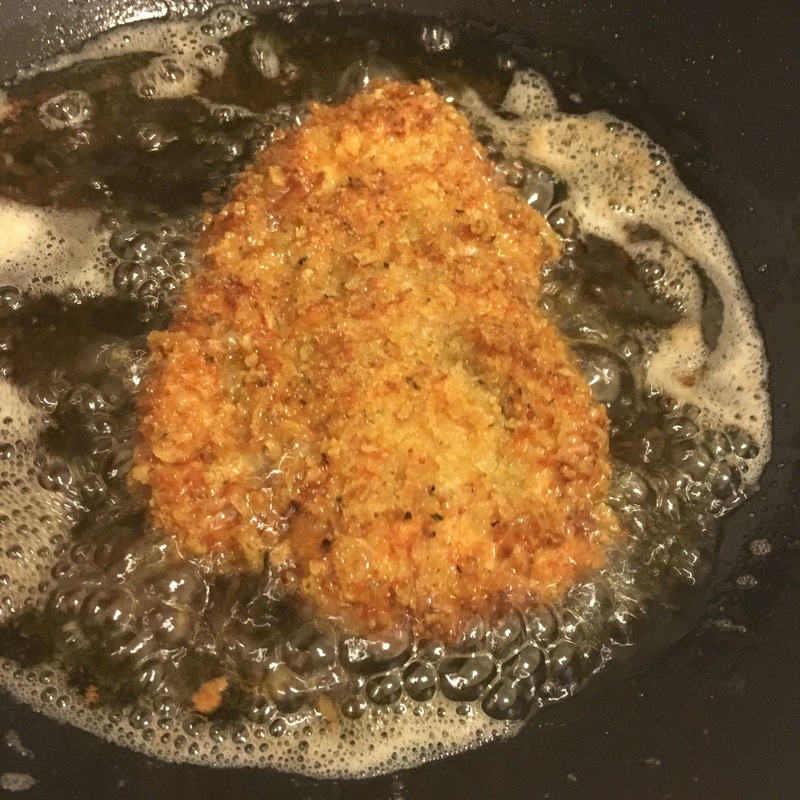 Cook chicken cutlets according to recipe directions and set aside. Cook spaghetti according to package directions, drain and set aside. 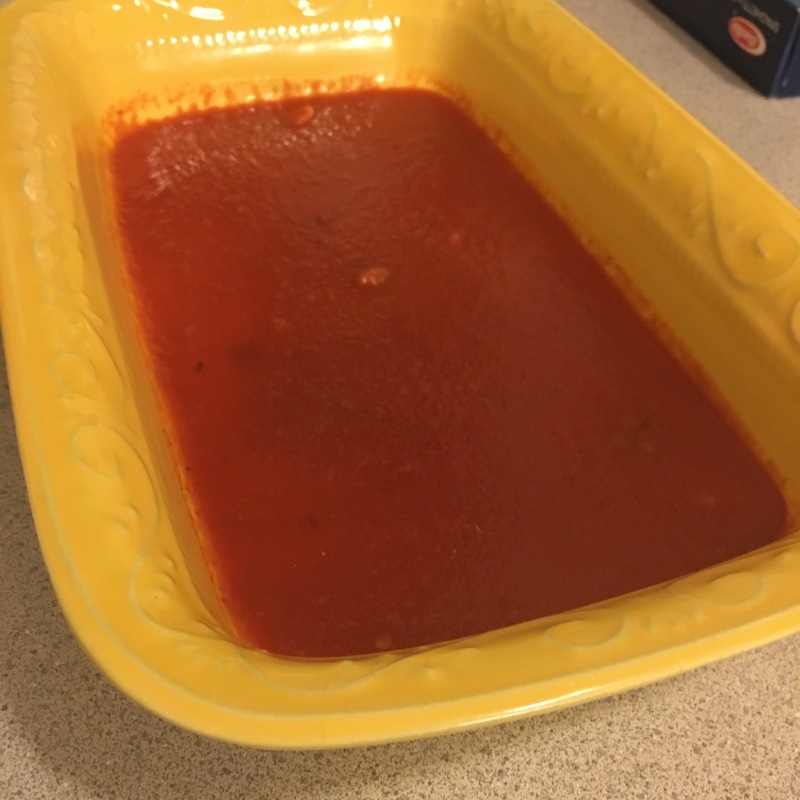 Place 1/2 – 3/4 cup of spaghetti sauce in the bottom of a large casserole dish. 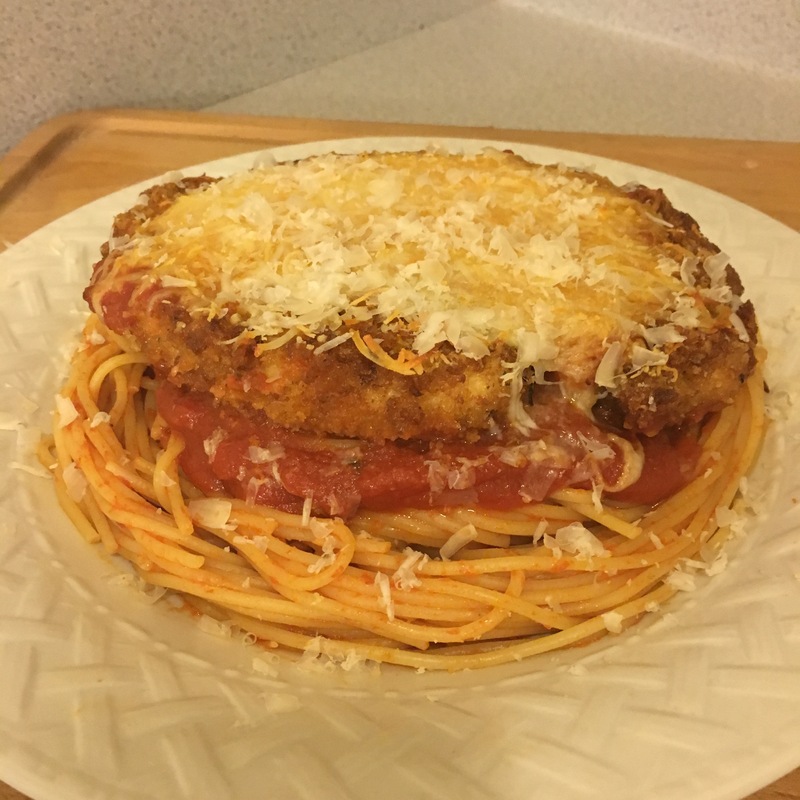 Place cooked chicken cutlets on top of spaghetti sauce. 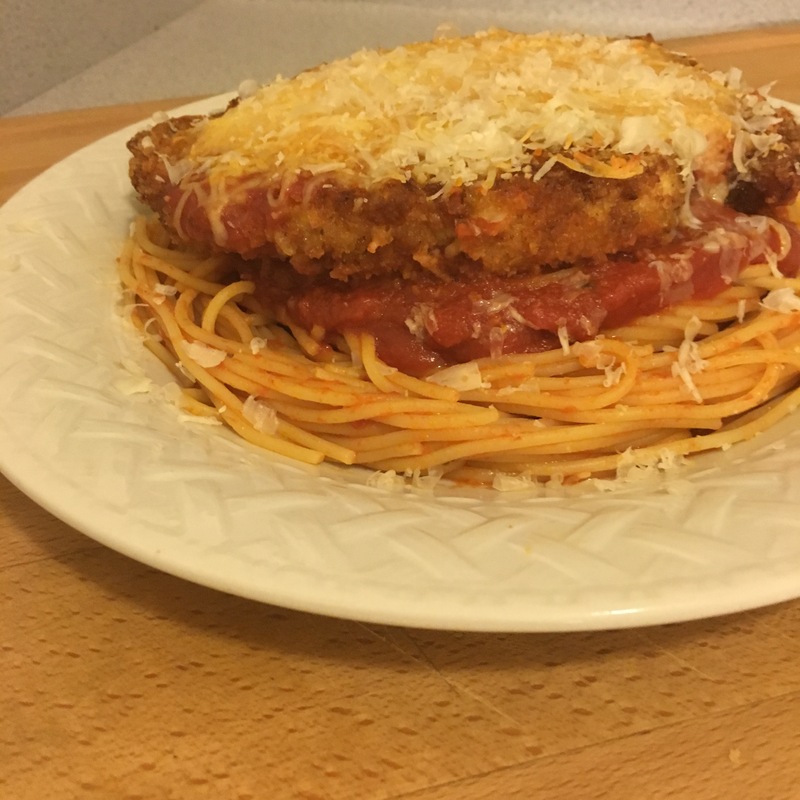 Top each chicken cutlets with a little bit of spaghetti sauce. 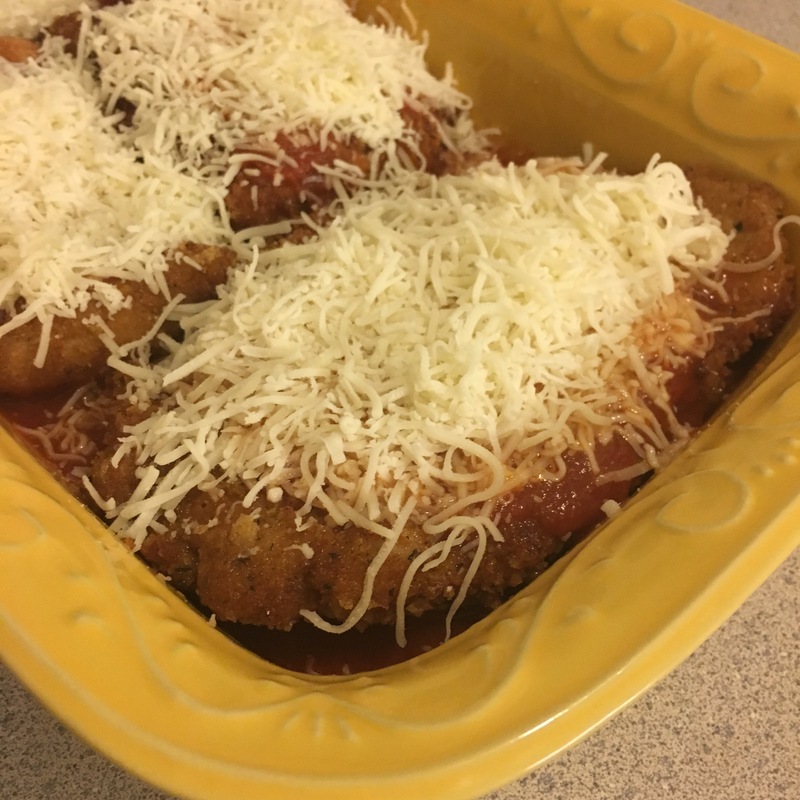 Evenly top chicken cutlets with shredded Italian cheese. 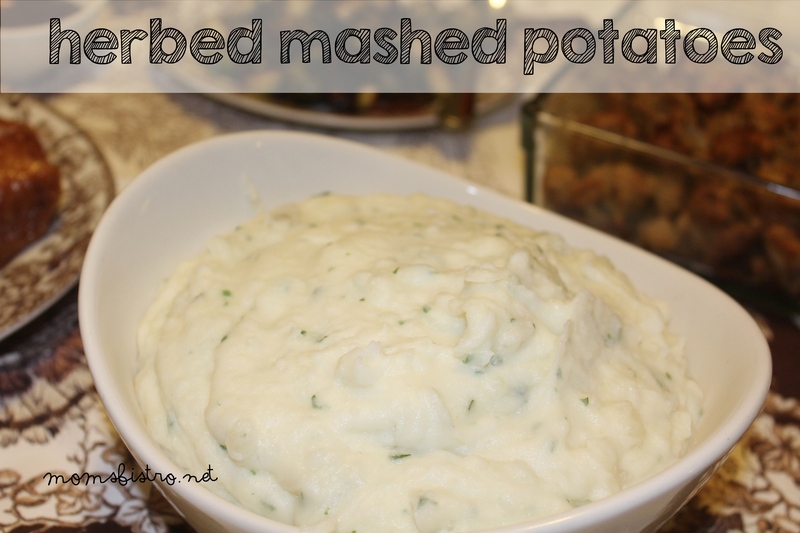 Bake for 15 minutes, until sauce is bubbly and the cheese is melty and browned. 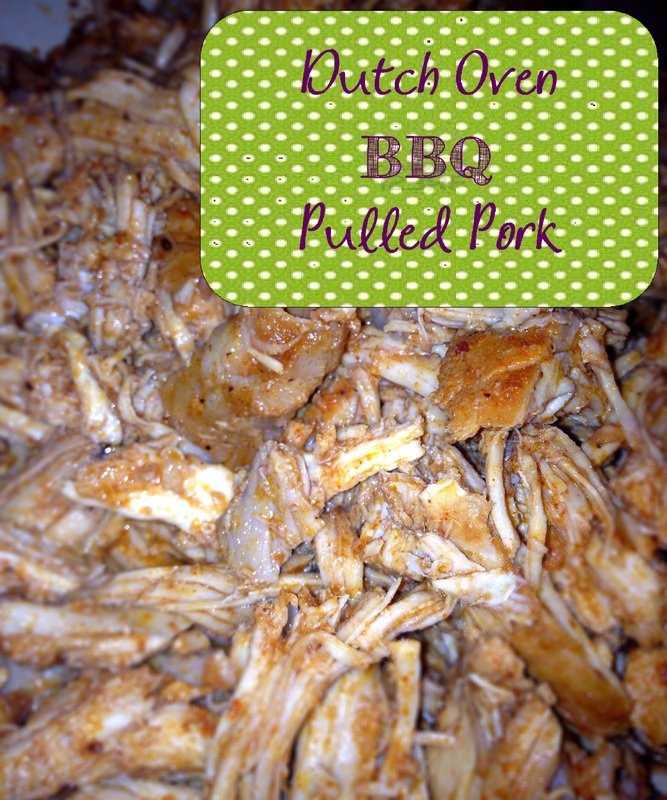 Remove from oven and let rest 5 minutes. 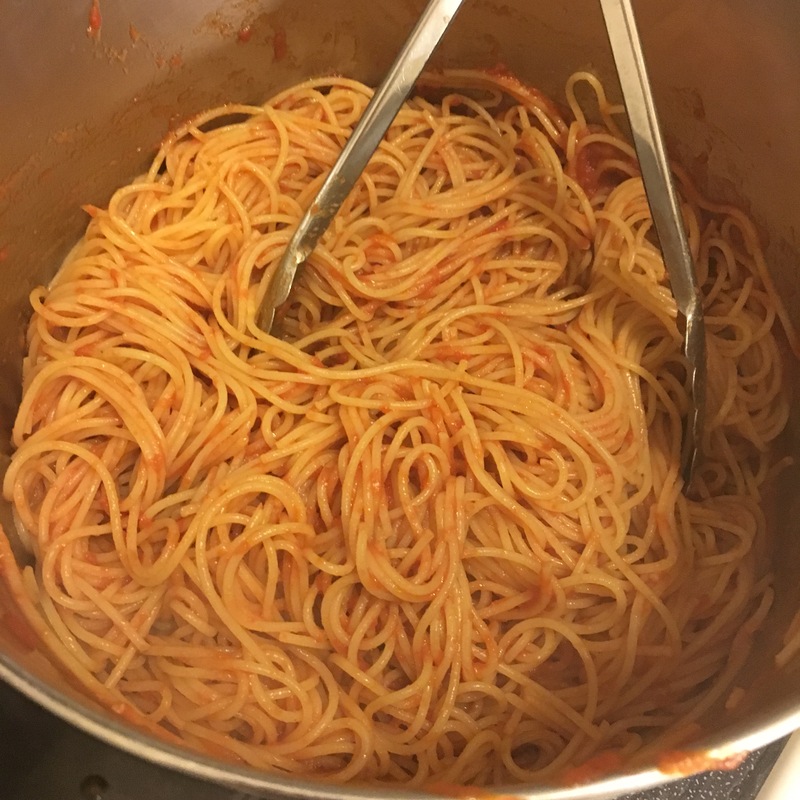 Add butter to the same pot you cooked the spaghetti in, and melt. Add cooked spaghetti back to pan and toss with melted butter. Add a little bit of spaghetti sauce and toss with spaghetti. 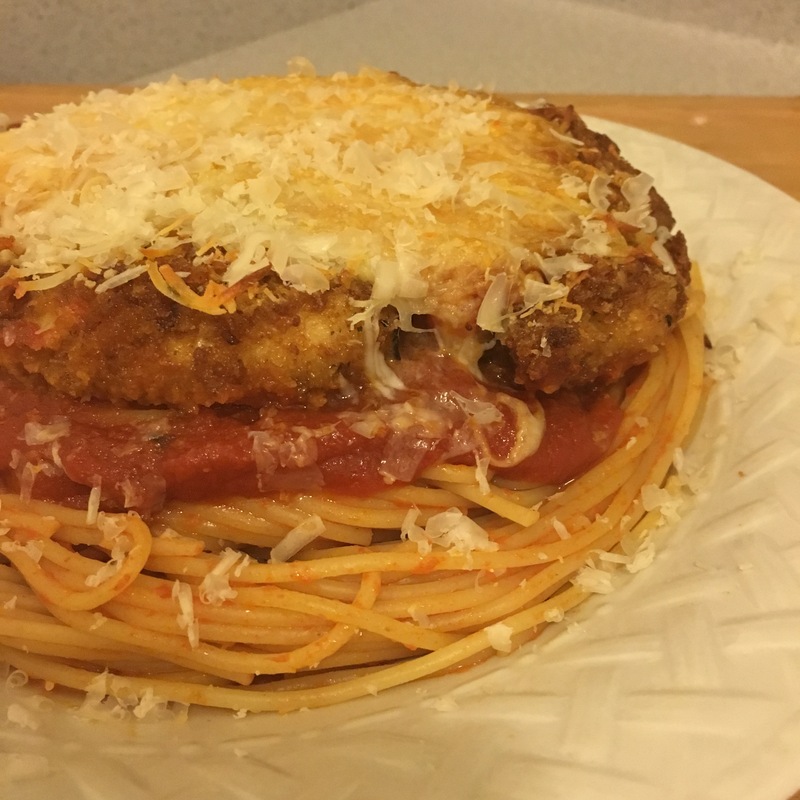 Serve Chicken Parmesan on top of spaghetti with some extra spaghetti sauce and top with grated parmesan cheese. 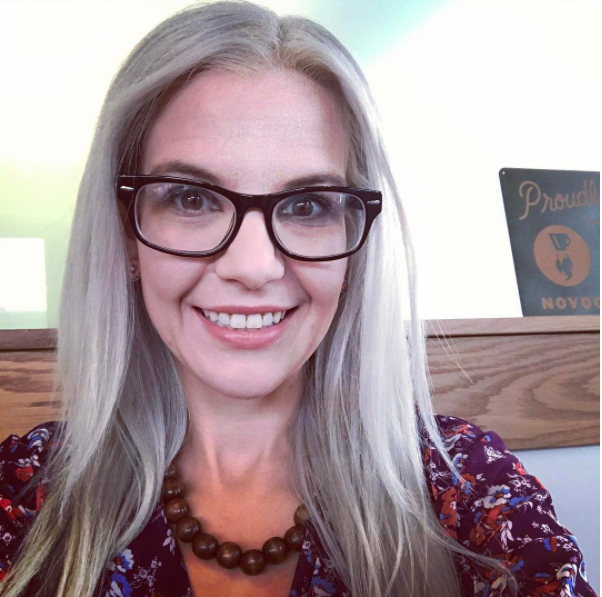 Looking for the printable version to add to your collection? 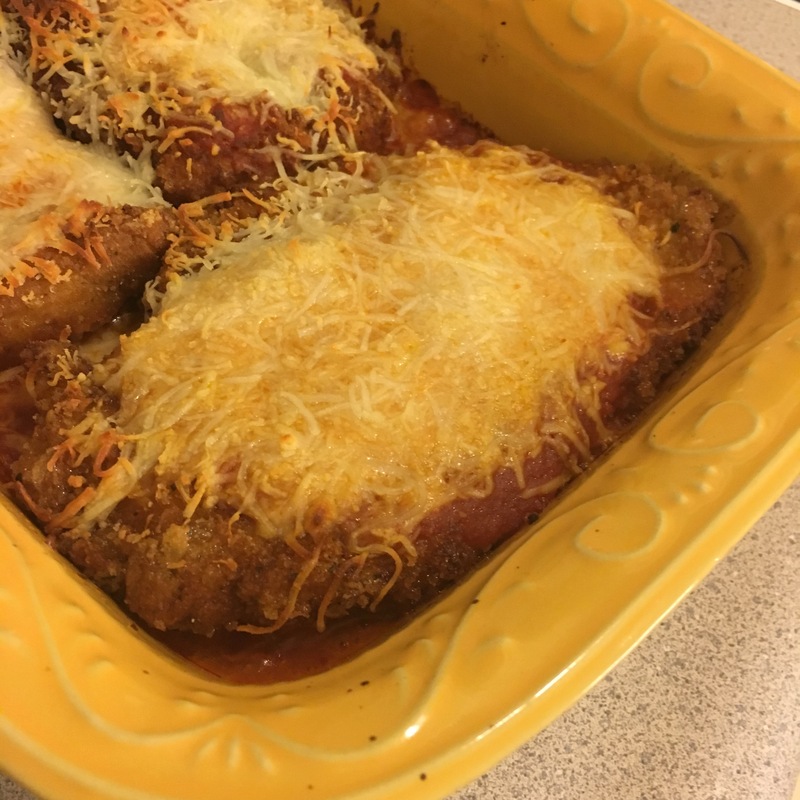 Click the picture below for a FREE PDF version of this Chicken Parmesan Recipe.